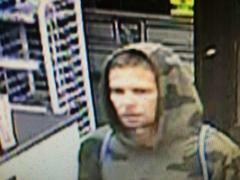 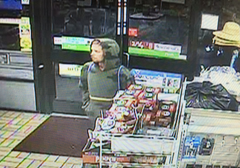 Synopsis: On 10/29/15 at approximately 3:48 am the photographed suspect entered the 7-11 store located at 1203 South Standard, simulated a weapon (possible firearm) at the victim and demanded money in English. 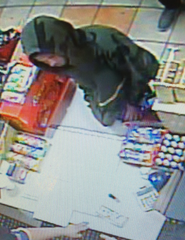 At approximately 6:12 am the same suspect entered the AM/ PM Mini Mart located at 1222 East First Street, again simulated a weapon and demanded money. 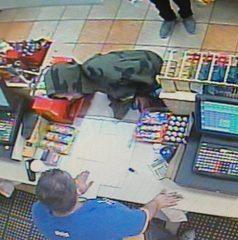 The suspect fled on foot.